To understand the phenomenon Photoelectric effect as a whole. 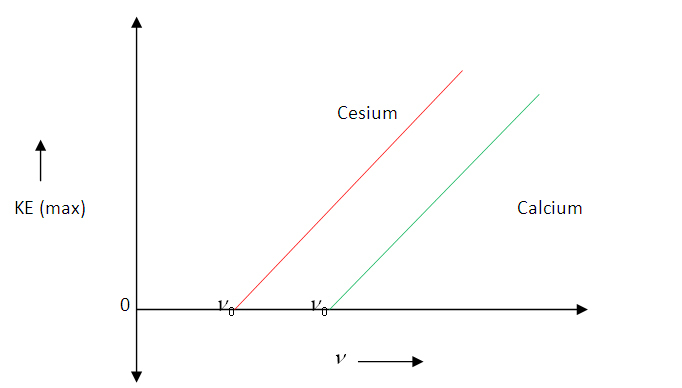 To draw kinetic energy of photoelectrons as a function of frequency of incident radiation. To determine the Planck's constant from kinetic energy versus frequency graph. To plot a graph connecting photocurrent and applied potential. 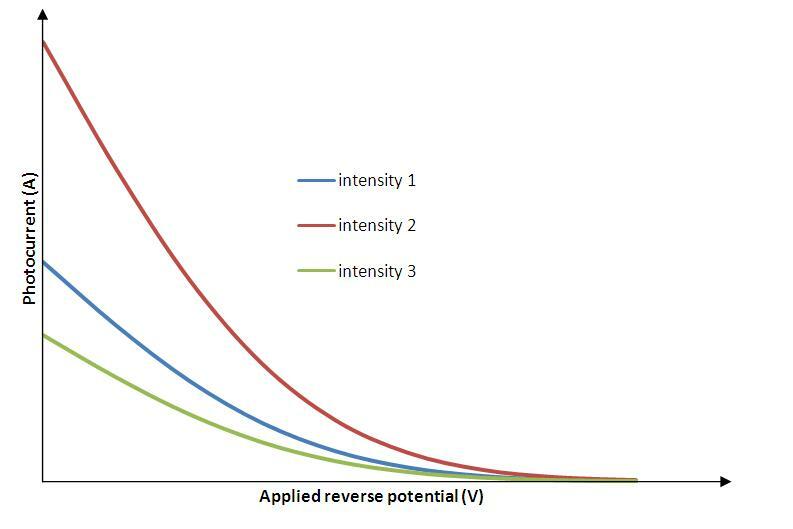 To determine the stopping potential from the photocurrent versus applied potential graph. During his experiments on electromagnetic radiation (to demonstrate light consists of e-m waves), Hertz noticed a spark between the two metallic balls when a high frequency radiation incident on it. This is called photoelectric effect. 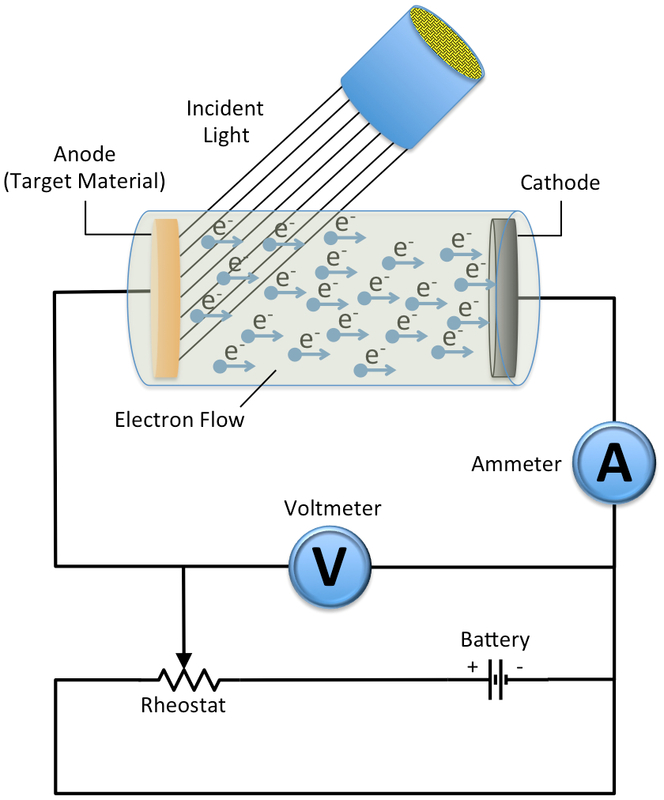 Photoelectric effect is the emission of electrons when electromagnetic radiations having sufficient frequency incident on certain metal surfaces. We call the emitted electrons as photoelectrons and the current they constitute as photocurrent. The phenomenon was first observed by Heinrich Hertz in 1880 and explained by Albert Einstein in 1905 using Max Planck's quantum theory of light. As the first experiment which demonstrated the quantum theory of energy levels, photoelectric effect experiment is of great historical importance. The Photoelectric effect is an instantaneous phenomenon. There is no time delay between the incidence of light and emission of photoelectrons. The number of photoelectrons emitted is proportional to the intensity of incident light. Also, the energy of emitted photoelectrons is independent of the intensity of incident light. The energy of emitted photoelectrons is directly proportional to the frequency of incident light. is the threshold frequency (minimum frequency for photoelectric effect). 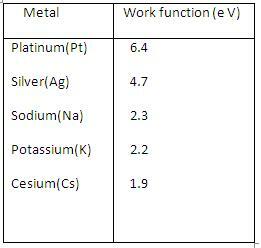 The work function for some metals are listed in the table. Which says the graph connecting the maximum kinetic energy of photoelectrons 'KEmax' and frequency of incident radiation' 'will be a straight line with slope and Y-intercept = workfunction.